Appointments are available with our coordinators or feel free to join us and view the house and grounds at your leisure. 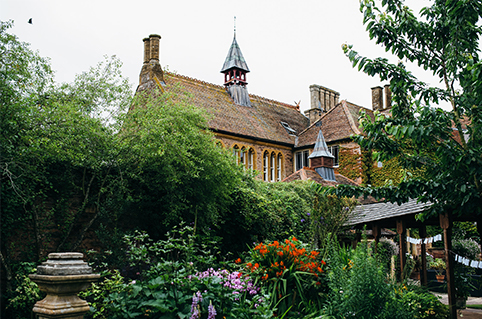 The romantic charm of Maunsel House lies in the family home atmosphere; full of character, history and beauty. The glorious parkland, lakes and orchards are yours to enjoy. Wander around and visit the duck ponds and ponies or enjoy a quiet moment by the roaring wood fire in the Library like Geoffrey Chaucer who wrote the Canterbury Tales whilst living here – is one day really enough? For the true Maunsel experience, a long weekend at the estate is an absolute must. 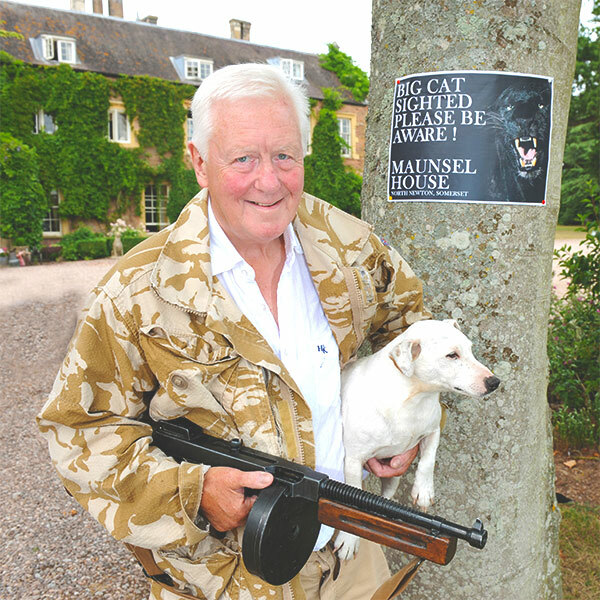 Nestled in the depths of rural Somerset, Maunsel House is one of Britain’s best kept secrets. During your stay, you will be free to roam around the glorious parkland, lakes and orchards makes Maunsel House the most romantic rural escape. 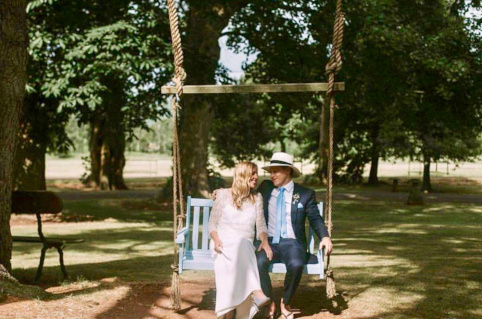 Set within 100 acres of stunning parkland at the heart of a sprawling 2,000 estate you and your guests are welcome to embrace the relaxation of country life. Drive up the Sweet Chestnut lined drive and you find yourself surrounded with lakes, woodlands, walnut groves, orchards and wildlife in abundance you will not be short of photographic opportunities. 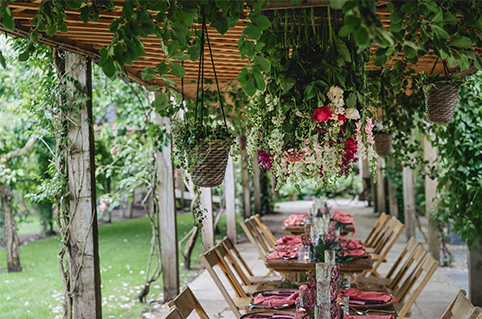 Our beautiful Pergola can seat up to 220 and is covered with scented climbing plants such as wisteria, jasmine and roses. At dusk the chimineas and fairy lights are lit adding a touch of magic to an already atmospheric setting. Staying at Maunsel House is a unique experience, with 13 ravishing bedrooms full of charm and character (many complete with four poster beds), it is a fantastic way to relax and end your perfect day. We can recommend a number of self- catering cottages, Hotels and Bed and Breakfast in the locality for larger parties including five self-catering cottages on the estate. “Maunsel House is a wonderfully welcoming home steeped in the most tremendous history and with, we feel, more than a touch of eccentricity (a reflection of it’s owner, perhaps!?) It is without a doubt a great party house which comes to life when it is full of people. The atmosphere, flow and configuration of its rooms lends an enormous amount to any occasion.